A large assortment of foot, hand and plaza railing configurations can be constructed using read-to-ship components from Gallery Metalworks-EasyQueue. Select your railing materials in the size and finish you need, add wall- or floor-mounted brackets and finish with appropriate end-caps. 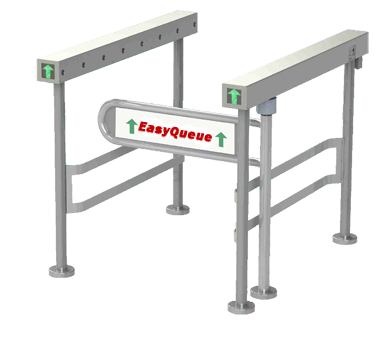 Stanchions and other crowd control configurations can be just as easy by selecting posts, top caps, ropes or belts as needed. Whatever the final configuration, off-the-shelf components are an easy way to get your railings application built fast. 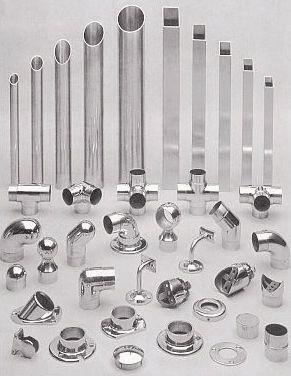 And don't hesitate to contact us if you have questions in determining the style, finish, texture, or other attributes of the components you buy.